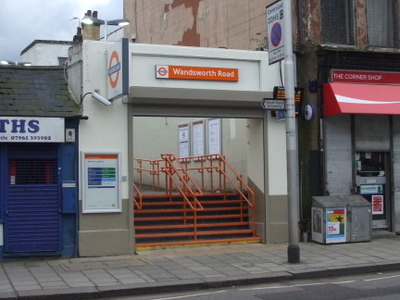 Wandsworth Road railway station is on the London Overground line from Clapham Junction to Highbury & Islington, with a limited service to Battersea Park by London Overground and London Victoria by Southeastern. A footbridge was installed in November 1988 having previously been used at Mitcham. London Overground operate four services per hour in each direction between Clapham Junction and Highbury & Islington, and one early morning service from and one late evening service to Battersea Park. Southeastern operate one service per day from London Victoria. Here's the our members favorite photos of "Railway Stations near London Borough of Lambeth". Upload your photo of Wandsworth Road Railway Station!